One such advocate to this approach is Will Storr, author of ‘Selfie: How We Became So Self-Obsessed And What It’s Doing To Us’. He believes that the ‘you’re amazing’ lie has become built into our culture and it’s becoming toxic. Instead he suggests we “draw great comfort from failure in realising that we’re not perfect and never can be.” Aim for something more realistic that isn’t success or failure, but something in the middle. Something average. Something ordinary. I was raised on ordinary. Taught to be grateful for what I had and not to expect more, to find comfort in the small things in life like being a mother and wife. Yet despite this upbringing, I turned out to be a serial overachiever, always striving to do more. Ordinary may be my reality in instances, but only once I’d taken the time to see what I was really capable of. I live my life striving for greatness and I would want my son to do this same. Without a little encouragement and inspiration how will our children learn to dream big? They have the rest of their lives to discover that they may not be an astronaut or a doctor, but don’t quash their dreams before they’ve begun. Just like fairy tales, Santa Claus or the tooth fairy, we grow up to realise that these tales aren’t true, but the lie isn’t harmful, it’s a passage of rite and what’s wrong with a little magic in your youth?! Accepting ordinariness without trying for more is up there for me with school sports days where there are no winners – or worse still, everyone is a winner! Its political correctness gone mad. It’s important to accept defeat in a dignified manner, to learn our limitations but to constantly explore the boundaries of what we may be able to achieve. Ordinary people are the ones achieving extraordinary things every day. Perhaps it’s not about what children want to be when they’re older, but who they want to be? Understanding what happiness and success means to each individual child and honouring that. I don’t ever want to become one of those pushy mums or place my aspirations on my child, but equally I will always be encouraging him to try his best and telling him to follow his dreams. 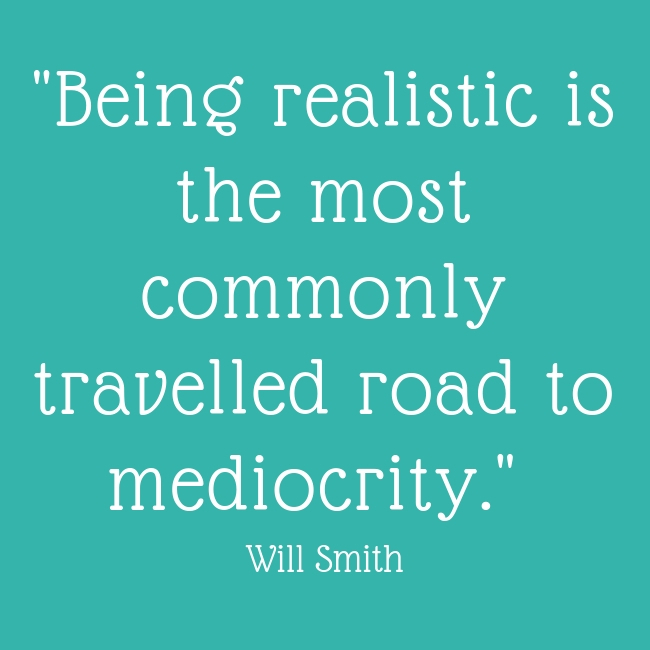 If it’s a choice between realism and ordinariness or fantasy and potential success, I will forever be advocating the life of a day dreamer.